For many decades, music therapy is being used by medical professionals to help patients prepare for and recover from surgery, help to fight depression or anxiety, especially in children with autism. The principle behind the music therapy is simple - certain types of music make people feel good, as their mind stops dwelling on the negative feelings such as anger, tension, or fear. Music is as old as time itself and as profound as we allow it to be. Those who listen can find music even in the most mundane things; the hum of the furnace against the ticking of the clock, and the rotating of the dryer! Or perhaps the gently melody in blades of grass bending to the wind, mixing with the sound of crickets nearby. Research has shown that music can drastically affect our physiology, and our neurology, right down to our perception of pain. Music therapy as a source of healing has been around for centuries. In fact, Plato is known to have said, "Music affected the emotions and could influence the character of an individual." 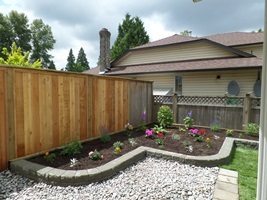 Raised flower bed - love the curly brick borders in backyard. We've made some amazing medical discoveries over the centuries, but I bet you didn't know that some of the world's most influential drugs came about by complete accident. Sometimes, in those moments of serendipity what is most important is the ability to think "That was a bit strange..." and not lightly toss aside the questions, but instead dig deeper for their potential. Did you know that some of the world's most influential drugs came about by complete accident, like it happened with Viagra. Originally this little blue miracle pill was developed in an attempt to treat Angina Pectoris – chest pains. Though it failed in its primary aim, its side effect on its male participants were startling, and now infamous. 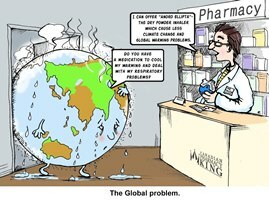 According to the latest U.N Global warming report if greenhouse gases ( including carbon dioxide) continue to rise, the world is looking at another about 6 or 7 degrees Fahrenheit (3.5 or 4 degrees Celsius) of warming by 2100 and it may have a catastrophic effect on people's health. Prescription drugs are forever evolving and new therapies are being added to the mix every year to make people's lives just a little bit better. Since August of last year, the FDA has approved five new drug therapies and we think you should know about them. Each offers a unique solution to various diseases or disorders ranging from helping alleviate rosacea to treating epilepsy. 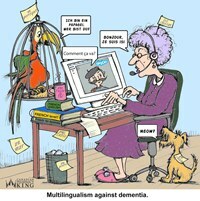 The latest study shows that bilingualism, even when acquired in adulthood, may benefit the ageing brain and delay the onset of dementia by several years. So, as the proverb says: Never too old to learn! As we get older, we’ve been told it is normal for our brains to shrink in size and our memory to be compromised. However, Alzheimer’s and Dementia are not inevitable to our future. In fact, brain mass loss can be slowed down or halted all together with a little bit of knowledge. 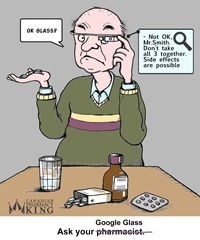 Ask Your Google Glass or Pharmacist? Google Glass is a wearable computer which was developed by Google. It has already been found very useful in many areas of life including healthcare. For example, It can provide a patient with information on side effects and instructions such as whether to take the medication with food. Also the researchers found that Google Glass can help patients with Parkinsons, by providing visual cues to wearers that help them unblock their brains and regain their movement. Attachment parenting, Helicopter mom, Free-Range kids, Tiger mums. Meh. I’ve never been a fan of labels. Especially not ones that pigeonhole people into believing they fit into some magical one-size-fits-all scenario. It’s like high-school all over again. I didn’t conform to those rules then and I doubt I’ll ever adhere to others that take their place. Throughout my career as a parent (because oh yeah, it’s work! ), I’ve found myself to be many things, not just one. I’ve gone through stages where one could consider me an attachment mother; I co-slept and breastfed both of my children. I had body slings and Baby Bjorn’s to keep them close to me. I also ensured there were covers on electrical switches and gates on my stairway. I did my best to prevent injury when I saw the likelihood occurring. 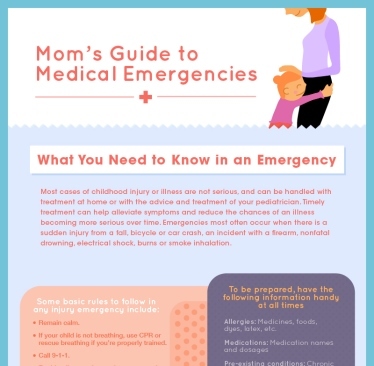 When an accident or injury occurs, your primary concern is your child's health and safety. Most cases of childhood illness are not serious, and can be handled with treatment at home or with the advice and treatment of your pediatrician. Timely treatment can help alleviate symptoms and reduce the chances of an illness becoming more serious over time.